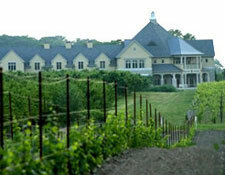 Take a quick flight to Niagara and experience the Blissful Grape Escape Lunch Tour. Enjoy a wine tour and tasting at Flat Rock Cellars, wine tasting and lunch at Rockway Glen Winery, wine tasting at Kacaba Vineyards and finish with a wine tasting at Cornerstone Estates. You are then returned to the Niagara airport for your flight home. Golf and Winery Tour in Niagara! Fly to Niagara to enjoy 9 holes of golf with cart at the Rockway Glen Winery followed by a decadent lunch overlooking the course. 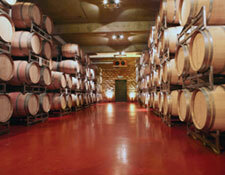 Take in an afternoon of wine tasting at three wineries and finish the day with a wine tour at a hidden away winery! You are then returned to the Niagara airport for your flight home. 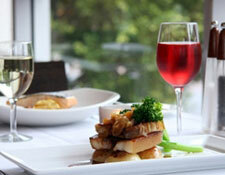 Take a quick flight to Niagara and enjoy the VIP Wine O'Licious Dinner Tour. Enjoy a wine tasting at Peller Estates, a private wine tour at Reif Estates, a naked wine tasting at 20 Bees (Dan Akyroyd's Winery) and finish by enjoying a three course gourmet dinner at deLuca's Wine Country Restaurant. You are then returned to the Niagara airport for your flight home.